I recently posted my films of 2015 list with Star Wars and Ex Machina coming at the top. 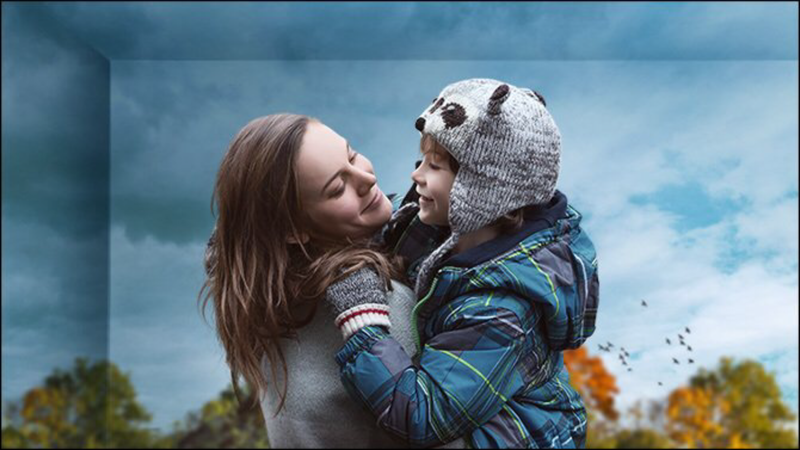 Actually though Room was the best movie I watched last year. I saw it at the London Film Festival in October but due to my rules about only including films on my films of the year list that were released in the UK in that year, it did not qualify. Don’t be surprised if it comes out at number one for 2016 though; this is a simply beautiful piece of work. Adapted by Emma Donoghue from her own equally brilliant novel, Room tells the story of a kidnapped woman, locked for seven years inside a crudely furnished shed. Taking the lead is actress Brie Larson who I have been impressed by ever since I saw her in the little known Short Term 12. She is just fantastic here and I am glad she is beginning to get awards recognition because of it. This by itself would be enough to recommend the film but there is more to it because she is not alone in her compressed accommodation. Living with her is her five year old son Jack who, unlike his mother, has never been outside the four walls the movie is largely set in. With this set up you would imagine watching Room to be a highly emotional experience and it is but perhaps surprisingly the feelings it evokes are not all upsetting ones. Certainly it is heartbreaking and sad but it is uplifting and touching as well. It is also funny in places and incredibly tense in others. The rewards of watching this film are many and varied and I cannot urge you to see it strongly enough. As you would expect it examines notions of family, of parenthood and of what it is to be a child but it goes beyond this looking at what it means to be a human in a social context and how our personalities are shaped by our experience and by those people that surround us. Absolutely key to the film’s success are four individuals. The first is the aforementioned Larson who portrays the central character with an effortless naturalism and strength. 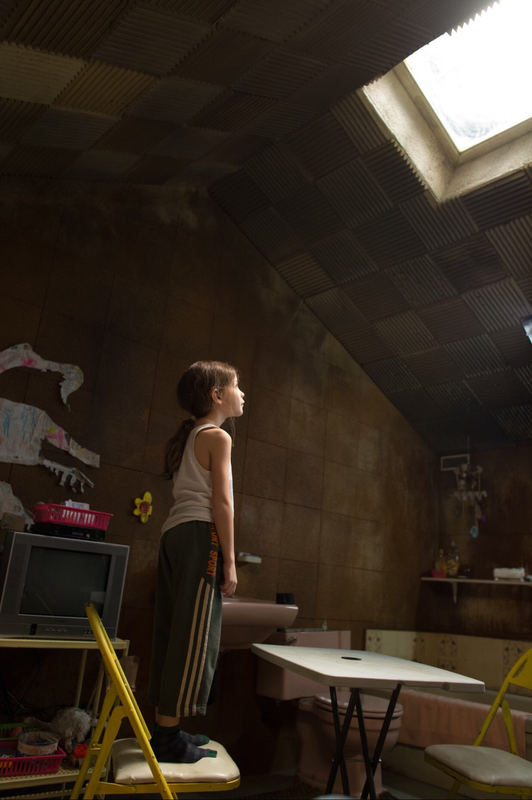 Credit also has to go to director Lenny Abrahamson for juggling the mix of tones. His previous film was the Michael Fassbender oddity Frank so he has already proven his ability to keep wayward plots on track but with this he masterfully navigates the emotional journey for both his characters and his audience. Next up for praise is Donaghue. Not only did she provide the source material, which was inspired by the Josef Fritzl case, but she has skilfully modified it for the medium of film. The book is told entirely from the point of view of the child but Donaghue has lifted this narrative device out without compromising any of what makes the story compelling. Which, of course, brings us to the boy Jack and the actor who plays him. The success of this film was always going to hang on the male lead and young actor Jacob Tremblay, two years older than the character he is portrays, is a revelation. There have been a number of truly exceptional child performances in cinema; Anna Paquin in The Piano, Jackie Coogan in Chaplin’s The Kid, Natalie Portman in Leon, Saoirse Ronan in Atonement, but this is easily the equal of all of them. Jack finds himself in a number of situations that many adults would struggle to cope with but takes them all convincingly in his stride, often because he doesn’t fully comprehend what is going on. The innocence and fortitude of both the character and evidently the actor who plays him are the heart of the film. Anyone who has read the book will know that it falls distinctly into two halves. In fact much of the marketing for the film has given away the specifics of this so avoid that if you can. It is the second half that has been truncated for the screenplay with several of the key events from this part of the story not featuring in the film. The earlier chapters are given a very tight adaptation though and I could not really tell you what, if anything is missing here. If you’ve read the book and loved it I think you will find this movie to be an excellent interpretation. If you’ve not read the book, which is how I came to it, you will discover an incredible tale with believable characters that will stay with you long after the credits roll. It may only be January but I doubt that you’ll see a more moving and involving film all year. There are some films that depict female characters with such raw honesty and deal with real life scenarios with such power that to discuss the gender politics just seems a little irrelevant. Certainly comparing the protagonist here with great female roles such as those in Mad Max, Star Wars and Alien is almost insulting to the women whose lives have, in any way, mirrored the events on screen here. Needless to say the mothers in this movie are believable and strong and admirable and should stand in honour of real women more than fictional ones. There is nothing nasty or salacious in the way the story is told but I am sure you can pick up, even from the little I have said about the plot, that their are significant connotations behind certain aspects of it. It is a film about a child but it is not a film for children.